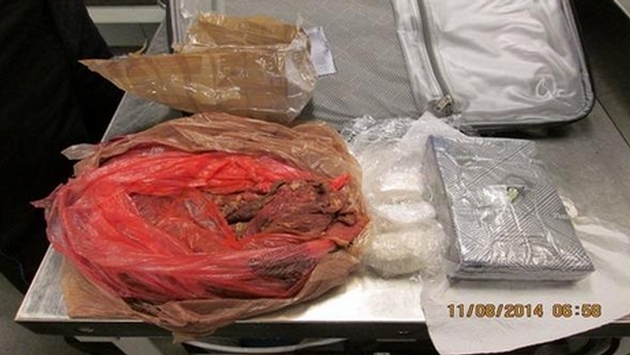 Points for creativity, but you simply can’t smuggle cocaine inside of raw meat. We imagine the whole raw meat guff is a dead giveaway. CBS News reports Transportation Security Administration officials at Mineta San José International Airport had quite the discovery recently. According to the report, a 24-year-old passenger was hoping to fly to Seattle when they were detained and arrested because there was three pounds of cocaine in their luggage. While the amount would be newsworthy, it was the mode of transportation this creative albeit alleged smuggler chose. It seems raw meat is how these crazy kids these days are hiding their coke. Now details are scant, but the initial report issues the discovery came after a routine check of bags. While pure speculation, we imagine agents were a tad suspicious when they discovered a passenger decided it prudent to fly raw meat Internationally. We agree the price of steak is ludicrous these days, but this probably didn’t look right. Then again, perhaps this was just the start of a really fine dry-aged roast that sates your hunger and allows you to do 48 hours of work in the span of 15 minutes.